Everyone seeks to decorate his home, give itCosiness and comfort. But what about summer cottages? The plot is a small area planted with vegetables and fruit trees. However, recently there has been a tendency towards ennobling the countryside areas. That is why there are interesting and even unique design solutions. 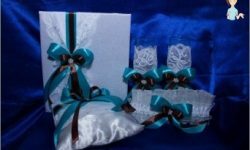 Usually, for this purpose,Here, you can show your imagination, and make a unique thing, and do not spend a lot of money, and at the same time get rid of unnecessary trash. One of the universal materials are automobile tires. Colorful and funny crafts with tiresCan decorate any corner in the country: a flower bed, a garden path, an artificial pond and even a children's playground. 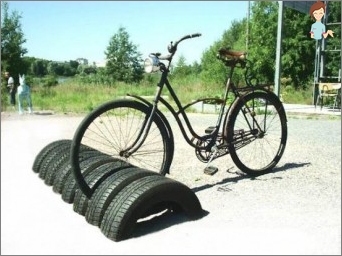 In addition to the fact that the tires can serve as a decorative object, they also have practical functions, for example, when creating a parking space for bicycles, outdoor furniture or a sandbox. As modern dachas are transformed from a placeFor work, in a corner for rest from city vanity, crafts will effectively create a cozy atmosphere and harmony on the site. With their help, you can easily and easily add creativity and uniqueness to the garden. This requires just a little patience, effort, time and, of course, fantasy. Crafts from tires and other unnecessary things forDacha can be used as you like, for example, as a fence that separates the site and divides it into zones (working, playing, recreation) or to diversify with their help the landscape. 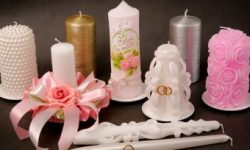 Often these products are used as a basis for creating decorative elements: flower beds, flower beds, hanging flowerpots, garden paths, beautiful birds, etc. Such practical decor is the most budgetaryOption of upgrading the country plot. The simplest version of the use of the tire can be seen in many yards - in its original form. They are painted in bright colors and sometimes they build intricate designs. When a multi-tiered flower bed is being erected, then each tier is filled with earth. A hedge is a more complex option. To create such a design, several tire diameters will be needed. The biggest ones are digging into the ground, while the smaller ones are already performing the role of the fence and are installed vertically. In smaller car tires make cross-sections and pass them through large ones. From the bottom, the ends are fastened with wire or staples. Thus, a kind of chain is obtained. Very beautiful look flower beds, swans, as well as flower gardens, tulips. To create the latter you need a tire and a disk. They fall asleep on the ground and plant seeds of flowers. Well obtained unusual pendant pots. They can simply be hung on the wall of the building, pre-painted, or make crafts made of tires in the form of a fairy bird. Tires for these purposes it is better to choose the lungs, but to paint in color, suitable for the general style of the site. Planted in them are recommended curly and non-selective plants, for example, Petunia. To equip the pathways, tires from trucks are best suited, since it will take less time to work with them. It is worth noting that you only need a protector. In conclusion, the boards with protectors are pressed into the ground. Such a path is suitable for the garden, the yard of the house andArrangement of parking. In addition, you can make a full-fledged ladder, combining the elements at your discretion. Such a practical decor looks quite original, done easily and quickly. In the majority for these purposes do swans or birds. 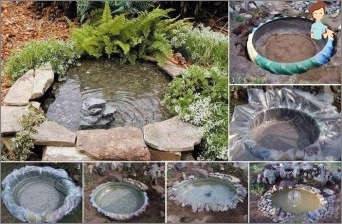 In addition, the pond itself is also made of wheels. Under the pond it is desirable to choose a site with an evenRelief. Then dig a suitable size pit. Its bottom is leveled, falling asleep with sand, and they put rubber in. During the work, the level is used to check the horizontality. Then, with the help of an electric jigsaw, cut the sides andFall asleep on the bottom of a bit of rubble. After this, a layer of waterproofing is laid, and on top, along a trimmed contour, the product is covered with the remaining crushed stone. The edges of the pond are decorated with decorative stones to hide the waterproofing film. After that you can fill it with water. Especially popular car tiresAre used for arranging a playground and a garden plot. First of all, they are used to create sandboxes. You can just lay one of them and fill it with sand, or put it upright, limiting the space. An improvised sandbox can be decorated, for example, with a homemade sail, which will perform the role of protection from the sun. Tires are used to make a swing. This can be ordinary tartlets, when a swing is attached with a rope to a tree branch, or hanging boats with a cut out part of the tread. 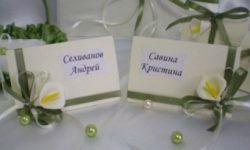 Also create a rocking chair for the dacha, but they require strong enough and wide products, which are simply cut in half and fastened on top of the board. More complex, but also an interesting option, is the creation of a car, a motorcycle or a boat. In this design, you can add real elements, for example, the steering wheel, lights and the control lever. Not only interesting, but also usefulMassage path for walking barefoot. It is made of tires, round stones of different sizes, plastic base with mosaic. This construction will well harden the body and prevent the development of flat feet. Figures of animals, for example, turtles, a hare, a bear, which are also easily and simply made from old tires, will help to create a fairy tale and a bit of magic. 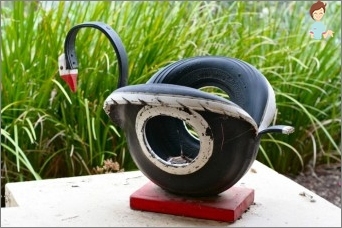 Crafts made from tires themselves create not only a garden and a playground. Of the tires are obtained and quite practical items that will be useful in everyday life. Originality will give furniture, which, by the way,Can be made in different styles, using fittings (vines, fabrics, wire, etc.). For example, make an ottoman or table with a soft pad. Of these objects, you can create a whole recreation area. It should be noted that the cut protectors can be used as a protection on the steps, if the latter are made of metal. In winter they will not be slippery, and in the summer they will burn bare feet. Bicycle parking is one of the most common methods of using automotive rubber. They are simply dug into the ground at half height, leaving a minimal space between the products. Creating such unique and original crafts for the site, you need to remember that the rubber is not entirely safe. Under the influence of the sun, this material gives offToxic substances that enter the soil and atmosphere, therefore it is not recommended to use it near the garden. It is better to use tires to decorate and improve the comfort of the site and the dacha itself.